Set to accompany the highly anticipated exhibition at the Grand Palais, Volez, Voguez, Voyagez — Louis Vuitton surveys the rich heritage and trajectory of the world’s most recognizable luxury brand. Before its foray into the realm of luxe ready-to-wear and accessories, Louis Vuitton was known as pioneer in the field of leather goods, developing its diverse luggage line during the Industrial Revolution, a historic period which saw a ground-breaking development in the means of travel and transportation. Louis Vuitton grew to be known as the fashion house that embodied the spirit of travel and quintessentially French elegance through its array of handcrafted artisanal wares. Edited by Olivier Saillard, the distinguished French curator of the Volez, Voguez, Voyagez — Louis Vuitton exhibition, this lavishly illustrated catalogue features new and archival photography, original design sketches from the early 1900s, past and current advertising campaigns, images of ready-to-wear and luggage for modern celebrities, and detailed close-up imagery of the exhibition items including the first trunks from 1906, the “Malles classiques” trunks, cabin luggage, instrument suitcases, traveling accessories such as trench coats, leather gloves, hat boxes, and elegant canes, delicate jewelry boxes, celebrity luggage, and much more. Split into nine themes to follow the structure of the exhibition, the book’s fascinating imagery is also accompanied by exploratory texts that weave themes of traveling lifestyle. 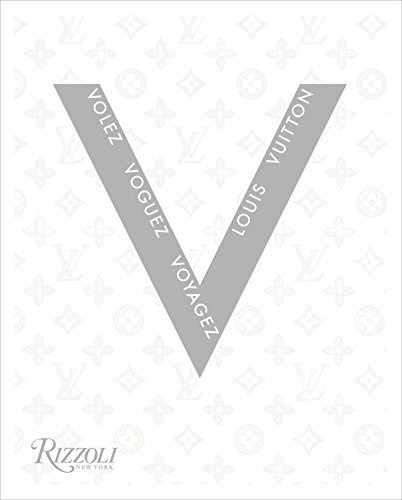 Reflecting on Louis Vuitton’s celebrated past and present, Volez, Voguez, Voyagez — Louis Vuitton is an ambitious volume that journeys through the evolution of travel and the French house’s continually evolving design inspiration which continually walks the line between classic style and modernity. View More In Design History & Criticism.